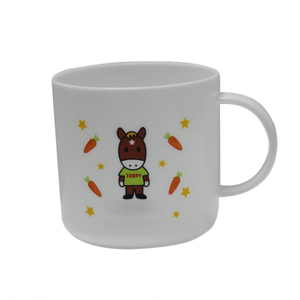 11 YRS Jinjiang Honghai Plastic Industry Co., Ltd.
,Ltd is a professional and experienced company for printing, packaging, phone accessories, fishing and gifts in Dongguan China. Q: How to order9 A: Please send us your purchase order by Email or you can ask us to send you a Proforma Invoice for your order. 3) Shipping Information-Company name, Street address, Phone & Fax number, Destination sea port. 5 YRS Condon Trading (Shanghai) Co., Ltd.
3 YRS Shanghai Huiang Industrial Co., Ltd.
CTN/20 CONTAINER PRICE/PCS(USD) PICTURE: 0.024 6KG 1166 CTN 0.031-0.041 POLY BAG PCS/BAG BAG/CTN CTN SIZE(CM) CBM 50 40 48*30.5*25 0.037 G.W. CTN/20 CONTAINER PRICE/PCS(USD) PICTURE: 0.016 5KG 1750 CTN 0.045-0.055 POLY BAG PCS/BAG BAG/CTN CTN SIZE(CM) CBM 50 20 51.5*26.5*25 0.034 G.W. CTN/20 CONTAIN PRICE/PCS(USD) SHRINK WRAP,COLORBOX 9KG 824 CTN 0.035-0.045 ZAXY AT GD-GMF. 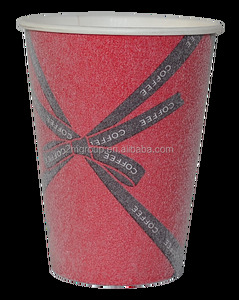 Disposable Logo Custom Glass Foam Plastic Cup With straw OEM Acceptable Production time Ordinary order 20-25 days, urgent order 10-15 days Payment method 30% deposit and 70% balance Price Depends on cup size, weight and quantity Packing Normally 50 pcs/bag, 20 bags/ctn Trade terms EXW/FOB/CIF/DDU Shipping port Wuhan/Shanghai/Ningbo/Guangzhou Sample Existing sample is free, shipping cost is collected High transparent Made from new materila, food grade PP Smooth rim Good production skill, strong enough No leakage Lid match cup tightly Related Products Are you interested in any of our products9 Contact me now, Let me give you more details! Contact us Write you inquiry details as bellow, click "send" now! Let's talk more! 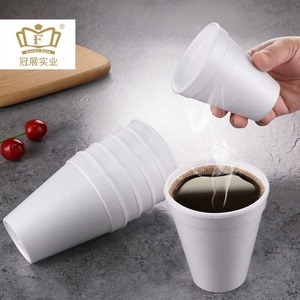 3 YRS Anhui Donghong Paper Products Co., Ltd.
2 YRS Wuhan Yixi Paper & Plastic Industrial Co., Ltd.
7 YRS Shenzhen Zhida Xintai Technology Co., Ltd.
Alibaba.com offers 15,816 foam cup products. About 3% of these are packaging cup, bowl, 2% are paper cups, and 1% are cups & saucers. 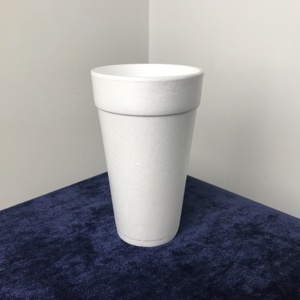 A wide variety of foam cup options are available to you, such as plastic, ceramic, and metal. You can also choose from ciq, ce / eu, and sgs. 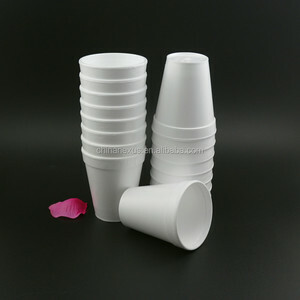 As well as from disposable, eco-friendly, and stocked. 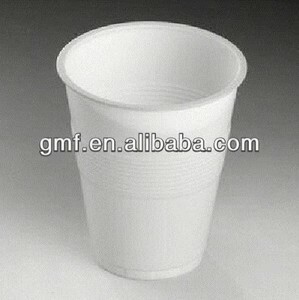 And whether foam cup is ps, pp, or melamine. 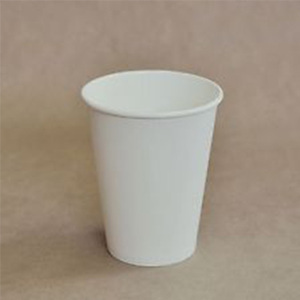 There are 15,816 foam cup suppliers, mainly located in Asia. 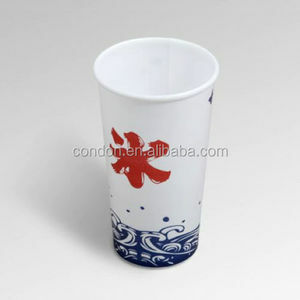 The top supplying country is China (Mainland), which supply 100% of foam cup respectively. 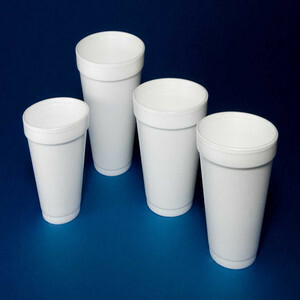 Foam cup products are most popular in North America, South America, and Western Europe. You can ensure product safety by selecting from certified suppliers, including 2,789 with ISO9001, 789 with Other, and 509 with ISO14001 certification.